During the telephonic conversation with Banerjee, Singh asked her to take action against those who indulged in the violence. 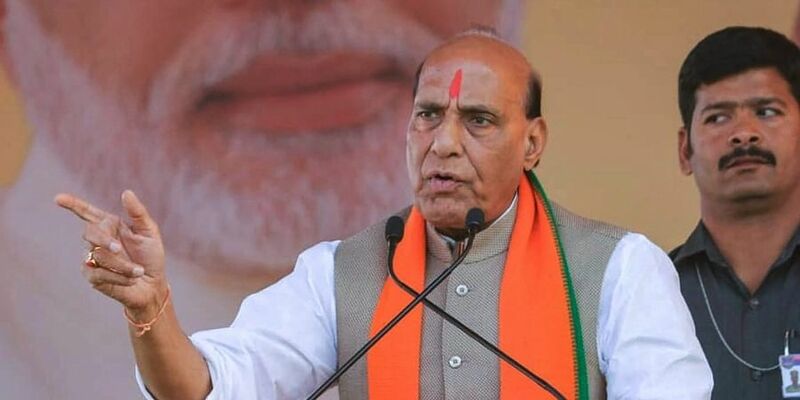 NEW DELHI: Home Minister Rajnath Singh Tuesday called up West Bengal Chief Minister Mamata Banerjee and expressed serious concern over reports of violence against people who participated in BJP President Amit Shah's rally of in the state, officials said. The home minister called up the chief minister to express serious concern over the reports of large-scale violence and arson against people who participated in the rally of the BJP president in East Midnapore district, a home ministry official said. Vehicles ferrying BJP workers were set on fire in clashes that broke out following Shah's rally, party sources said. The sources said three persons were injured in the clashes. No confirmation was available from police. The BJP alleged that buses in which party workers were returning from Shah's rally were ransacked and set on fire allegedly by TMC activists. The Trinamool Congress, on the other hand, claimed that BJP workers had attacked a local TMC party office in Kanthi and vandalised it.